Nope, we aren’t here to discuss science and we aren’t here to talk about rocks. We’re here today to take a close look at something far more beautiful, and far more important. 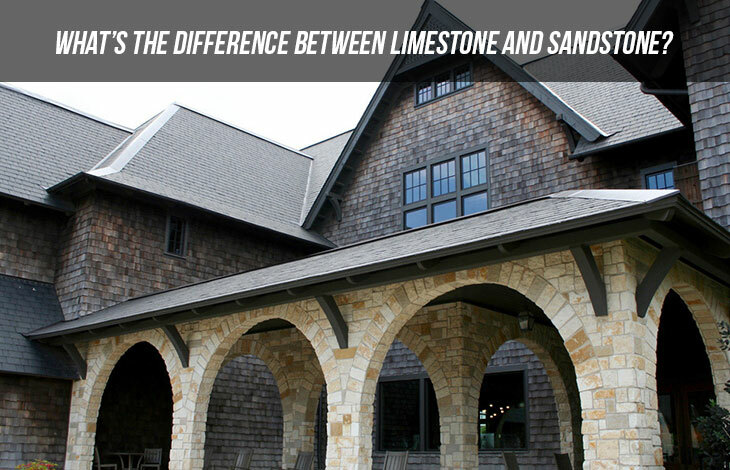 The evaluation of limestone vs. sandstone; when and where to use them on residential interiors, walls, pavements, and whatnot! You must be wondering why is it so important to know their difference? Shouldn’t you just listen to the contractor and do what she/he says without batting an eye? Learning about the kind of material can end up saving time, costs, and general disappointments. We aren’t undermining the opinion of a professional, but sometimes even they can’t figure out your preferences, like if there are going to be kids and pets around the house. Both limestone and sandstone are used as construction materials. They both have different properties and offer different solutions. Let’s do some learning then (not the science kind, we repeat). Sandstone comes in a variety of colors and styles; there are shades of green, antique silver, and caramel. The autumnal shades are quite common and you can also get rainbow shades with each slab entailing different shades of the rainbow. There is a fossil textured variety among sandstone where the surface looks like a mosaic styled layered pattern. The limestone offers a limited option of colors, usually available in greys, blues, and blacks. Limestone can be polished to reveal a smooth surface or left to remain so on the coarser side. It’s a good practice to check the appearance of tiles after coming in contact with water, as most stones change their appearance under water. For areas with chronic rainfalls, this comes especially in handy. Both stones score well in durability. 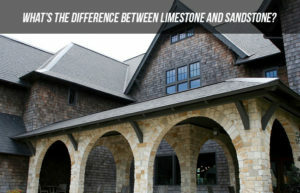 Limestone and sandstone stand sturdy in rain and can endure all types of weather. The lighter shades of sandstone are more porous than darker shades, they would require frequent cleaning as compared to the darker ones. Black limestone pavements look beautiful when freshly laid but its color can fade over time to a lighter grey if the correct sealant isn’t used. You can ask your contractor and buy suitable products at the market to keep the maintenance of your pavement at par. However, this difference is minor and shouldn’t really affect your choice of stone. Another thing to avoid when cleaning the tiles is to choose products that don’t carry acids. Acids damage the color of these stones faster than anything else. Sandstones and limestones are both very adaptable to all kinds of cuttings, fittings,and polishing. 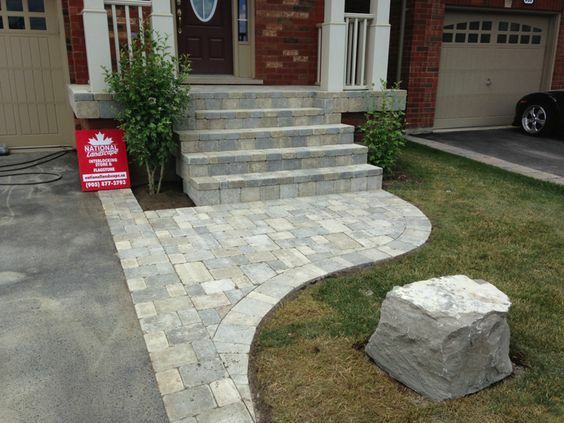 Sandstones are more suitable for patio and garden pavements. They provide a coarser and sturdy finishing. Limestones, on the other hand, can be used for all sorts of interior and exterior constructions; interior flooring, stepping stones, gardens, pavements, pathways, patios, and driveways. Both stones are relatively affordable and offer a good deal on the pricing of buying and installing. Limestones are somewhat more inexpensive than sandstones. The installation process for both stones is easy and alike. If you want complex patterns, and structures on your pavements, or floorings, then you should seek out a competent contractor who is skillful in putting together the desired design. Sandstone is more heat and power resistant than limestone. However, since contractors are aware of their properties, they install them accordingly and it isn’t going to be your headache having to worry about that. You should, however, learn about the suitable products available in the market to use for cleaning either of the stones. In a nutshell, wielded sandstone is used where you need hardness and resistance to corrosion. Limestone is softer, fine-grained and acid sensitive but it is suitable for decorative purposes because it can be polished to perfection as compared to the coarse sandstone. Both stones have their own use and you can’t do without either of them!